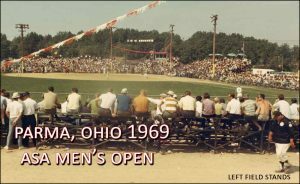 1969 held at Chattanooga, Tennessee. After The Comets came through the losers bracket and beat the Dots 9-8, this set the stage for the winner take all final championship game. The Dots Scored 3 runs in top of 13th to win the final game 6-3. MVP Nancy Oldham of Satellite Beach set a record by being named to the ASA all-tournament team for the 5th straight year. Oldham’s defense at Shortstop combined with her clutch hitting made her an easy choice for MVP. 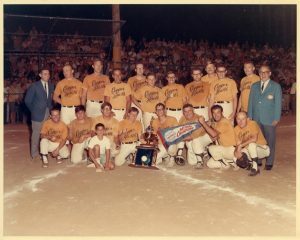 Judy Hedgecock pitched all eight games for the Dots (7-1) to get them the championship. 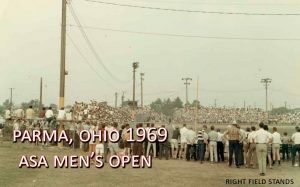 1969 held at McAdenville, North Carolina on August 1-9. Pittsburgh Jim’s did something no other softball team has ever done. They have now won the ASA and USSSA National/World Softball titles. 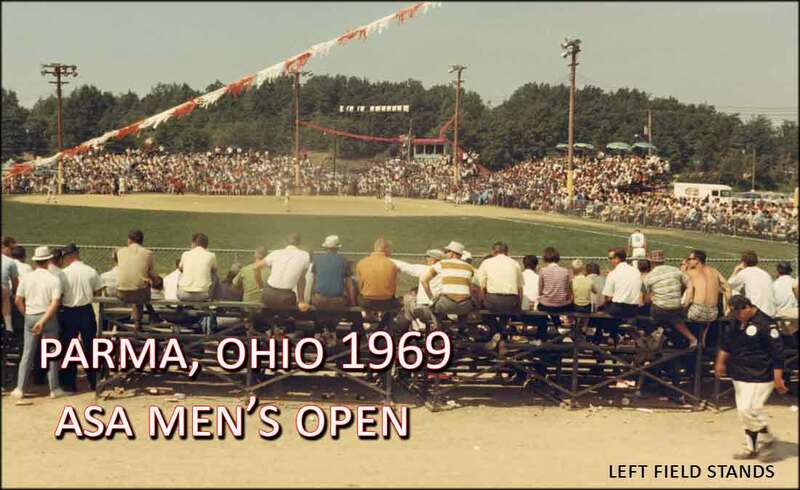 They won the ASA title in 1962, 1964, 1965 and 1967. Last year they switched over to the USSSA organization and finished 3rd in the first USSSA World Series ever held. This year, they ran through the tournament undefeated with the help of the tremendous defense they have. Pitcher Louie Del Mastro is considered the best in the business. He made the All World Team for the second year. They have an incredible middle defense of Mike Kovach at SS and Ray ‘Corky’ Kruel at 2B. In the OF, they have Andy Zilka and Miller Adams catching everything in sight. Third Basemen Paul Tomasovich is considered one of the best Softball players in the world. He made his 2 straight USSSA All World team as well and also was named the Tournament MVP. 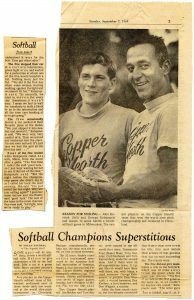 He won the ASA MVP in 1964. 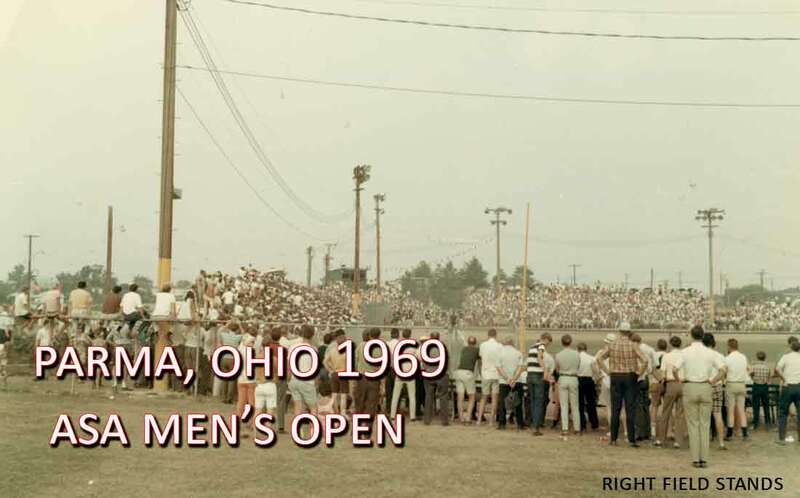 Floyd Warren’s from Irwin, PA los the winner’ bracket final to Jim’s. They sat back as Milwaukee Electric Tool came through the losers bracket to eliminate National Lanes 9-7 and Brookline YMC 11-4. But they could not get past Warren’s as they lost 17-12. 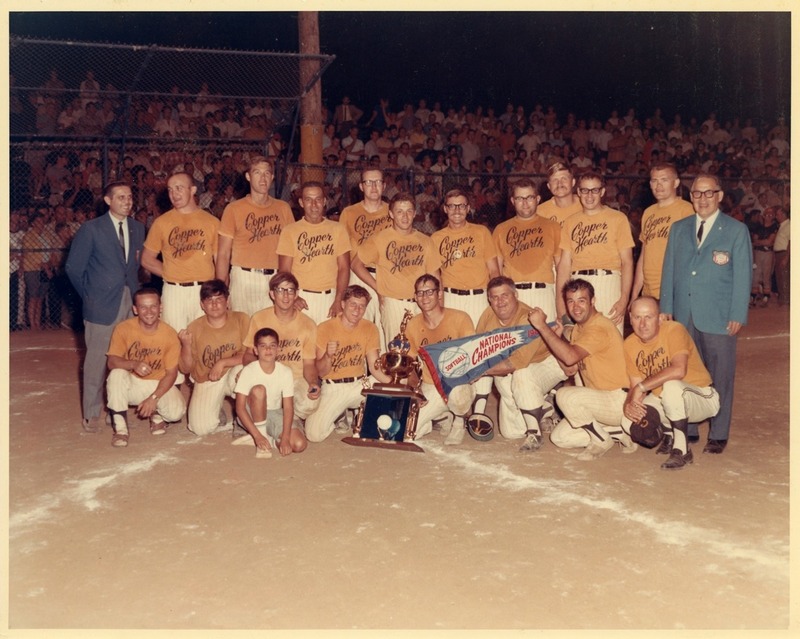 In the Championship Game, Del Mastro held the Warren bats to just two runs and with the help of Tomasovich’s 6th inning Homer to break the game open, they breezed to a 6-2 Championship victory. HT Waller almost single handily carried Jo’s to the championship. He had 7 HRs and 16 RBIs in the final 4 games. Jo’s eliminated Little Caesars 21-19 as Waller hit 3 HRs. Then Waller’s HR won the first final 8-6 over Copper Hearth. 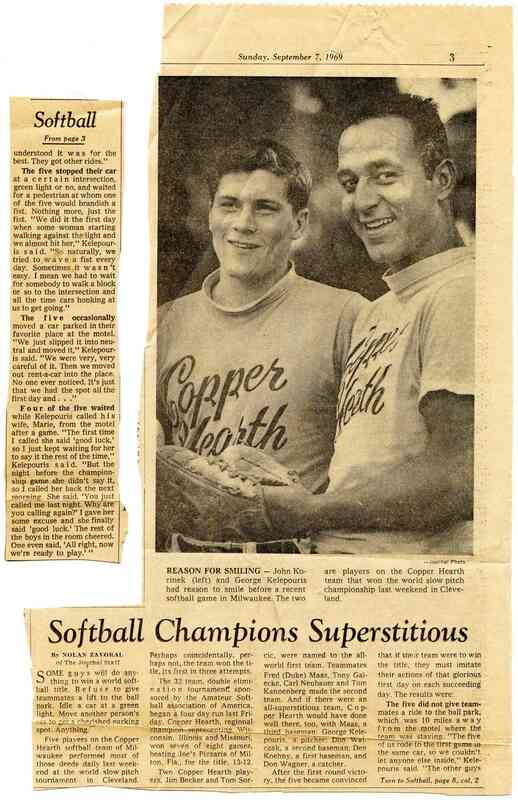 In the Final championship, Copper Hearth led 8-1, Waller hit two 3-Run HRs to pull them to 13-11, but fell just short. Copper ended up winning 13-12. 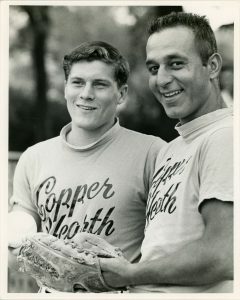 Jim Becker led Copper Hearth all weekend with a .593 batting average including 6 HRs and 20 RBIs. Tony Galecke also hit .593 and he scored 16 Runs. Mike Grbich led the Hearth Men with a .609 average (14-23). Fred Maas chipped in with a .556. Luther Ates was the table setter for Jo’s House of Pizza collecting 23 hits and scoring 17 Runs.